The Samsung Galaxy Tab2 is on a discount selling for two weeks, so hurry guys and grab the opportunity. 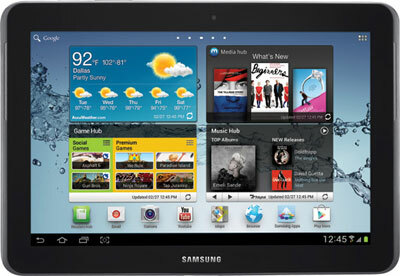 Samsung Electronics has announced the student's version of Galaxy Tab2 7.0 at a special price of $249.99 for two weeks. The tablet otherwise costs $350. The keyboard dock and USB adapter come for free with this offer. This is a specially packed product that includes the 8GB version of the tablet in white colour. The tablet comes packed with some recommended educational apps that can be downloaded from Google Play. It also offers preloaded Polaris Office that helps in editing all Microsoft Office file formats, viewing PDF, image files, and decompressing ZIP files. The offer is valid only for two weeks starting from 19 August till 1 September. The tablet is available with selected retailers including Best Buy, Amazon, Tiger Direct, Costco and Fry’s. The tablet features a 17.8-cm (7-inch) TFT (PLS) display with a screen resolution of 1024 x 600. The tablet runs Android 4.0 (Ice Cream Sandwich) and 4000 mAH (Li-ion) battery. This special edition is available only in 8GB version and comes with a microSD slot of upto 32GB. You can turn your tab into a universal smart remote with in-built IR blaster and the smart remote app. The connectivity options available include Bluetooth 4.0 and 802.11b/g/n Wi-Fi. Other specs of the device include 1 GHz dual core processor,VGA front camera, 3 megapixel back camera and GPS add to the list. So Guys Hurry Up!!!! Grab the Tab2 and make a difference in your gadget store. Thanks @Philipss Samsung is providing great products and so is the leading manufacture of mobile now.